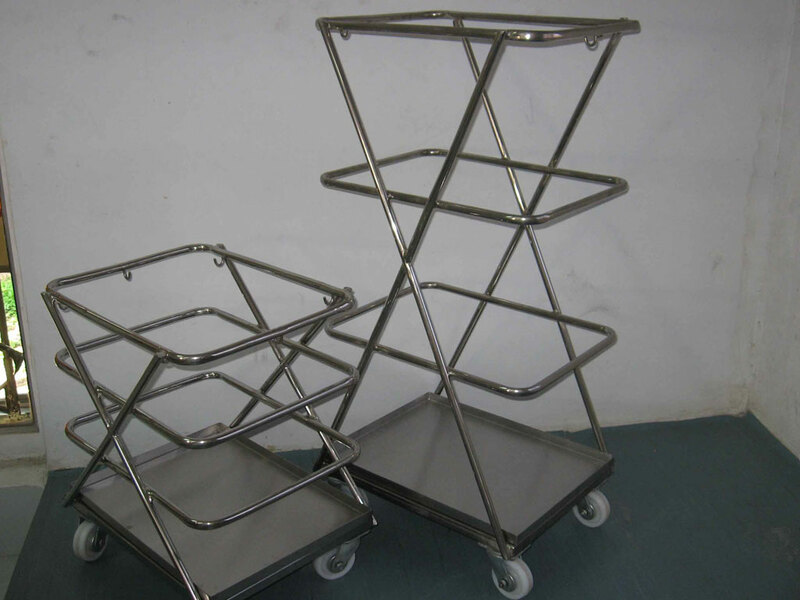 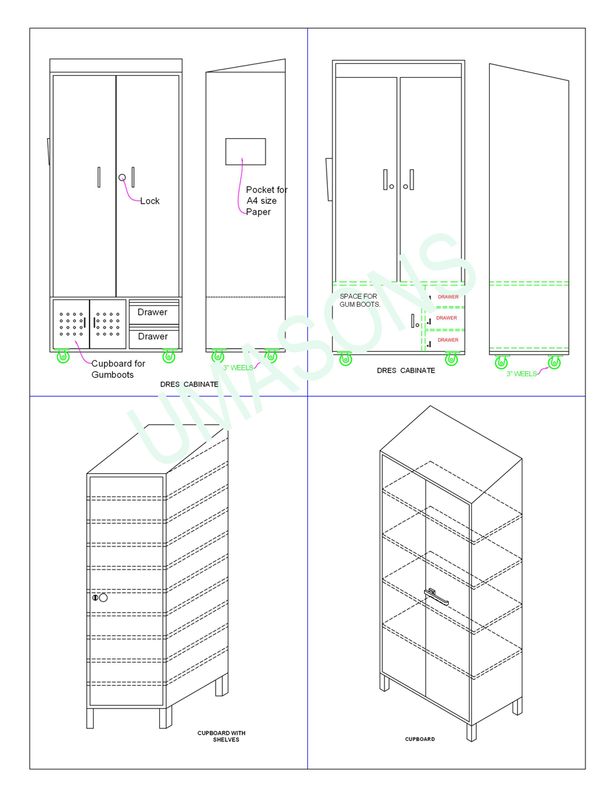 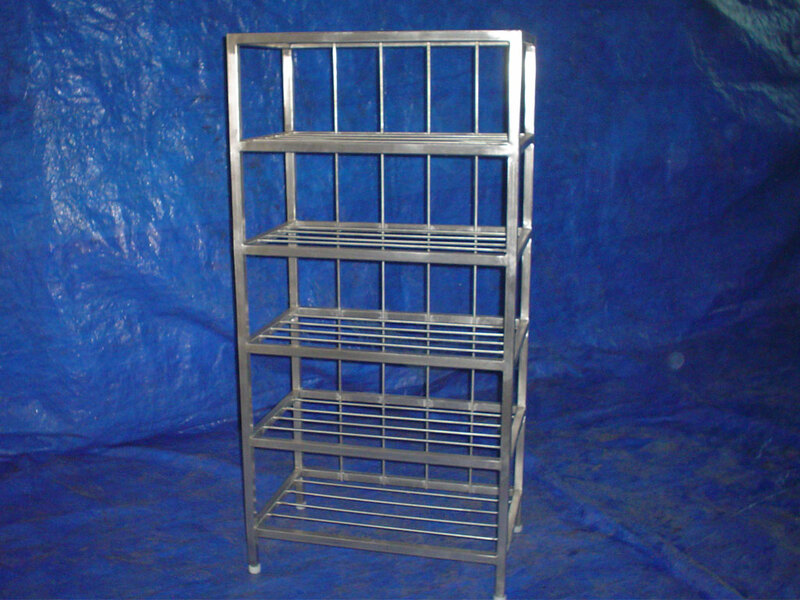 We manufacture shoe racks in different sizes and combinations. 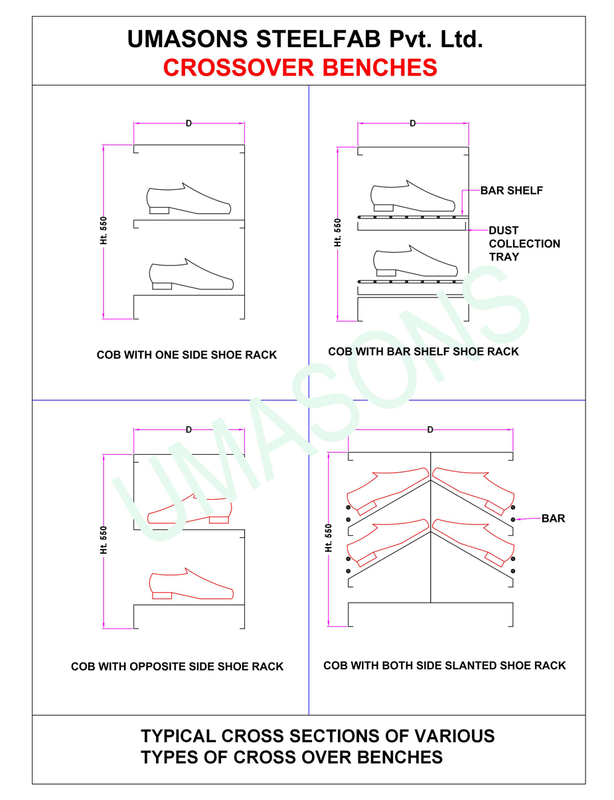 These shoe racks are fitted with doors and have built-in suction to remove false odour. 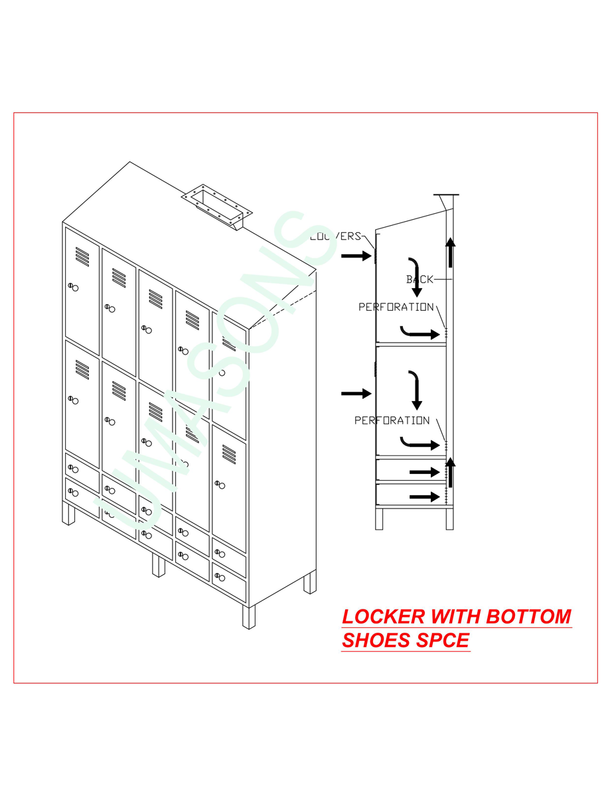 Such ventilation means help keep your change room areas clean and fresh. 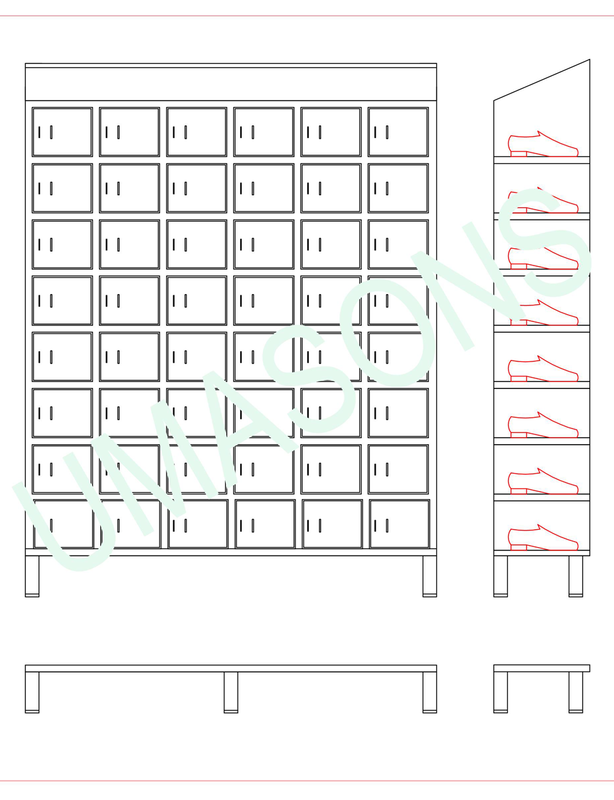 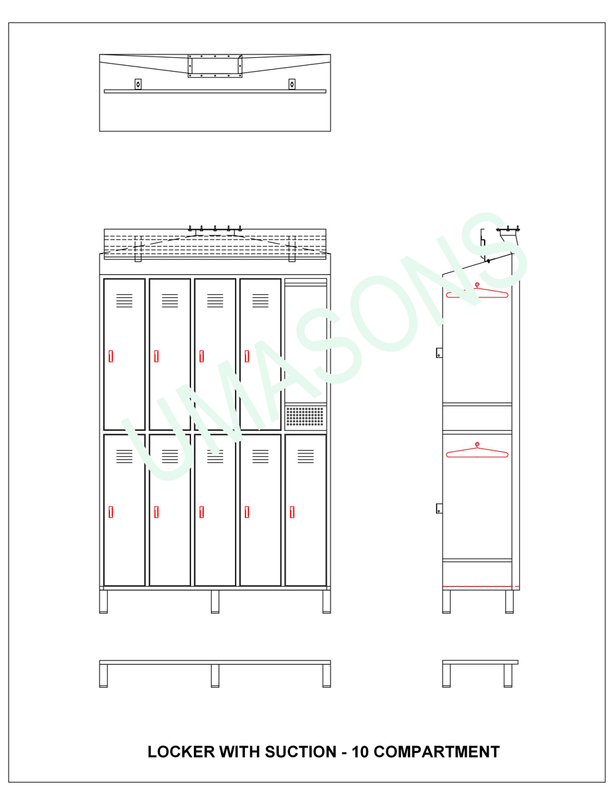 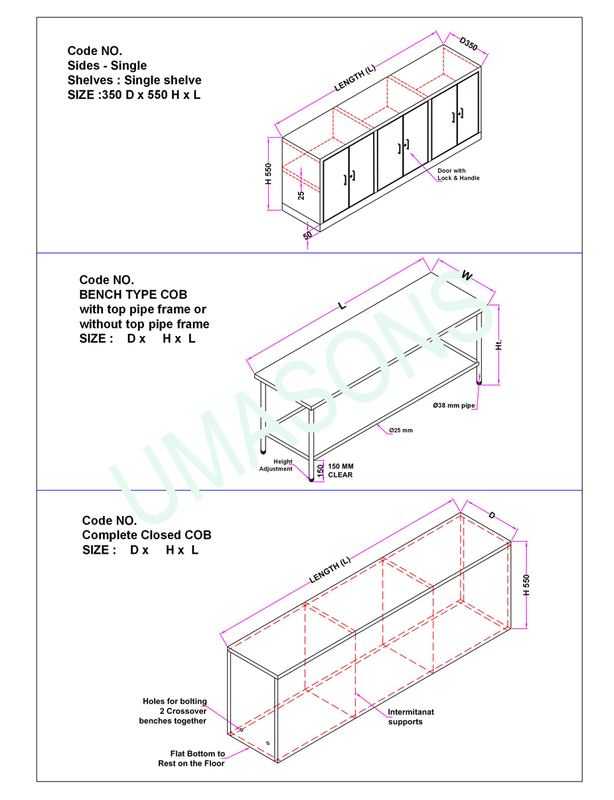 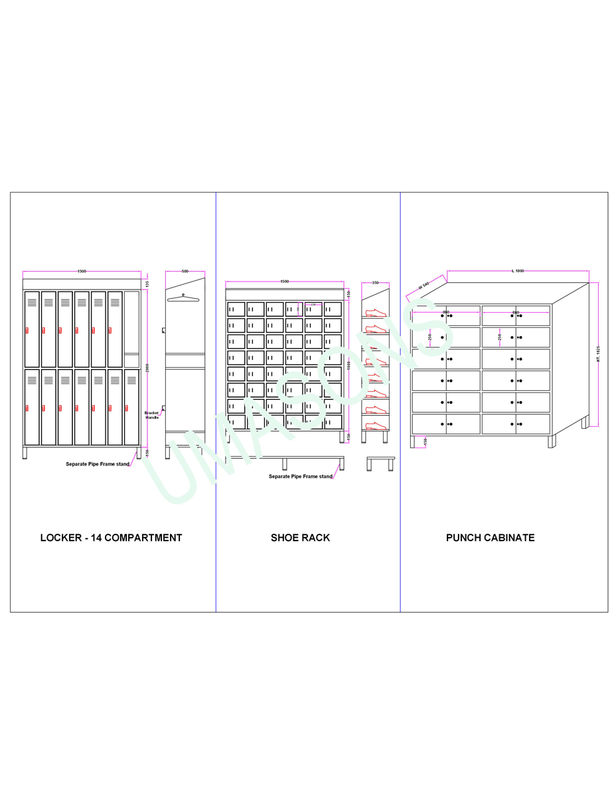 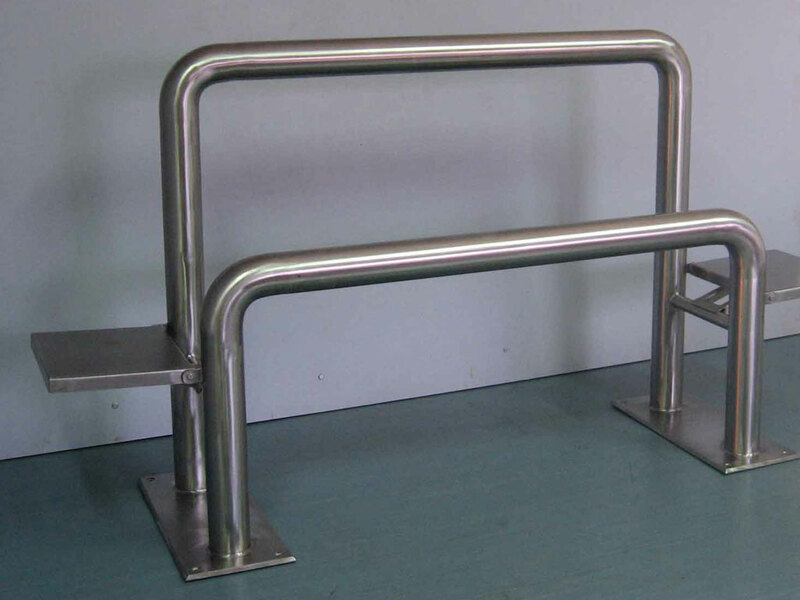 We can make a variety of cross-over benches,closed from all sides, Simple bench, one side shoe rack and other side closed, Both side shoe racks, Slanting shoe racks, “ Z” type shoe Bench and so on. 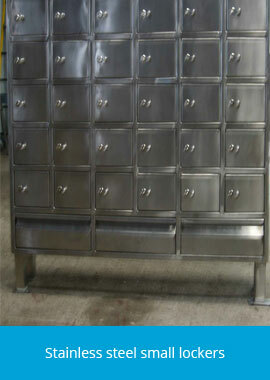 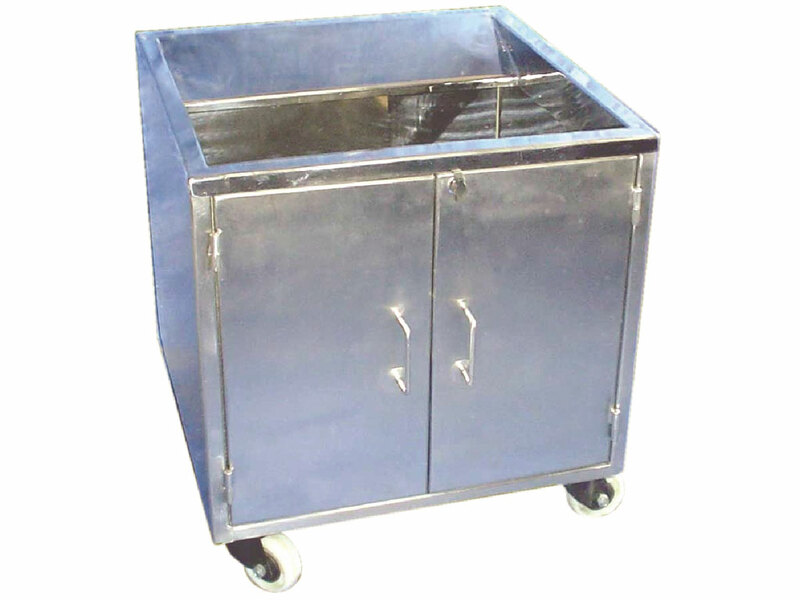 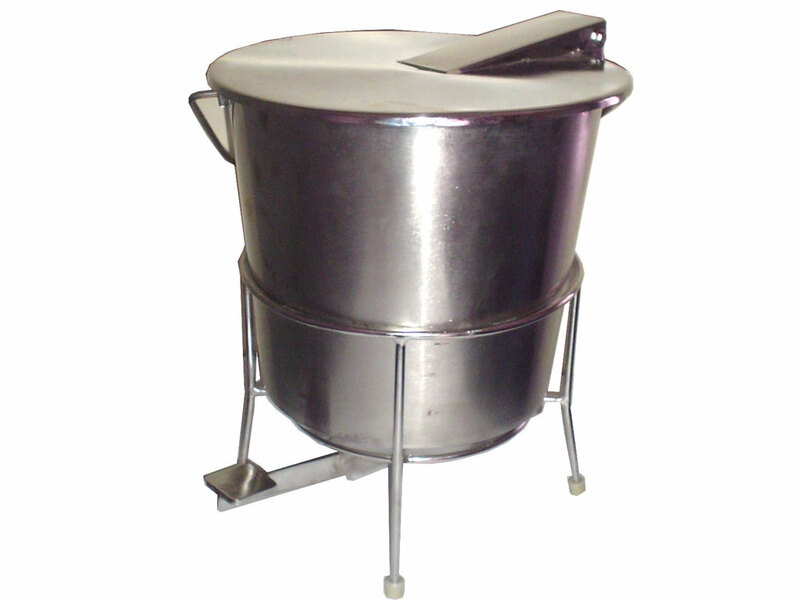 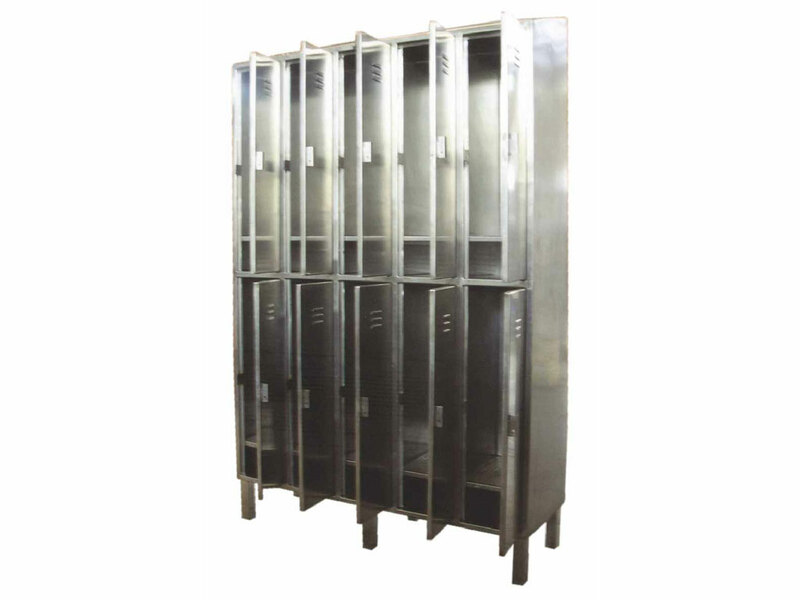 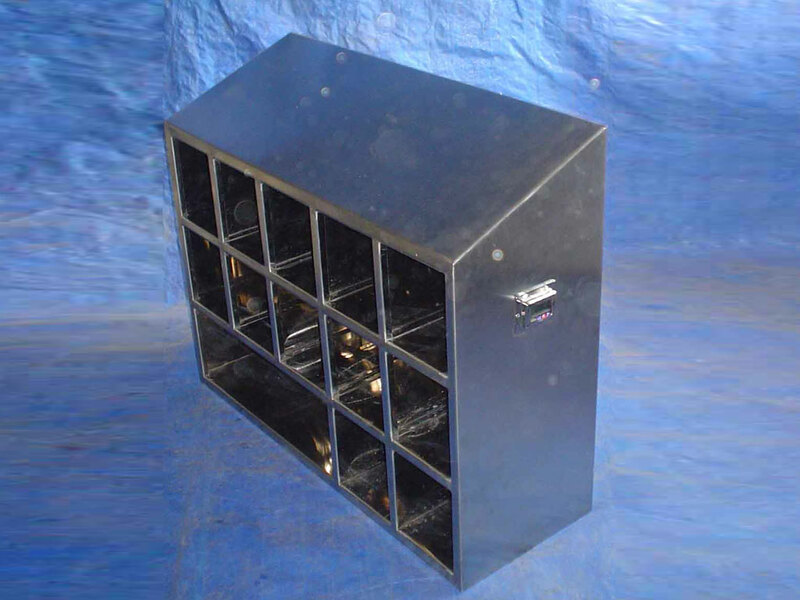 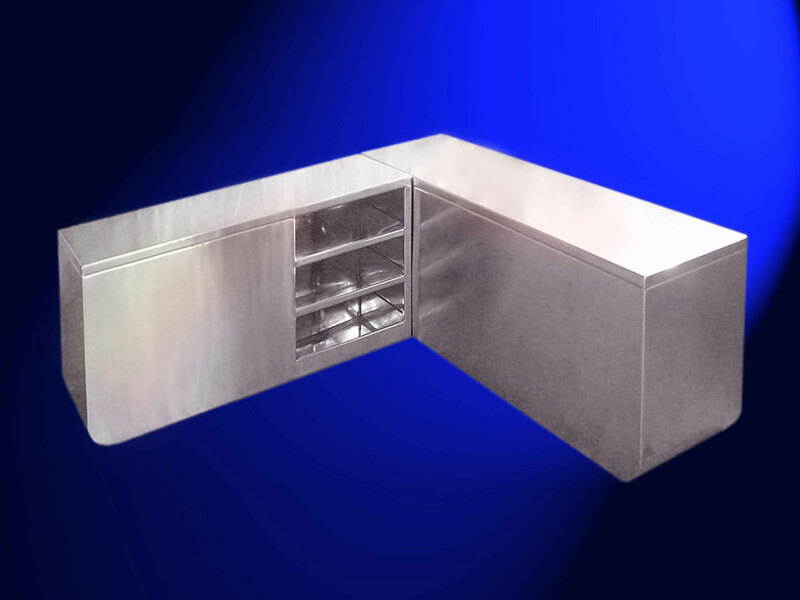 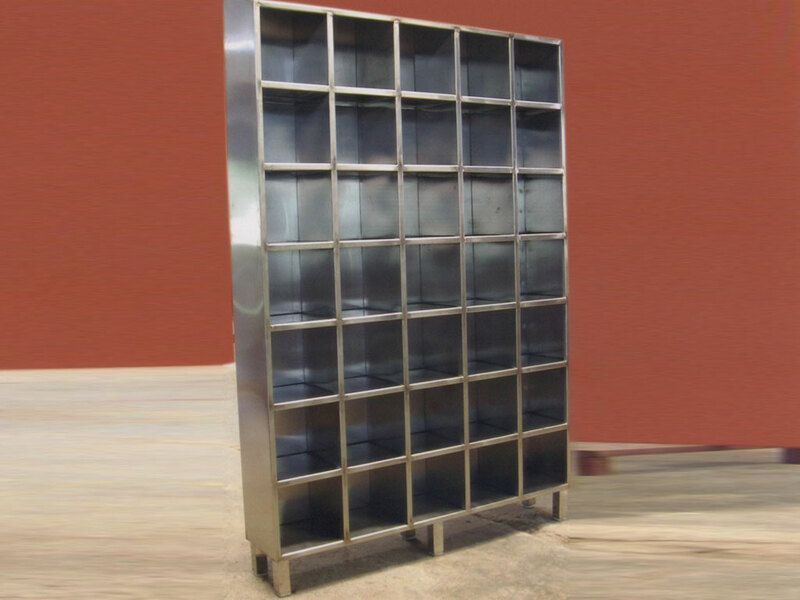 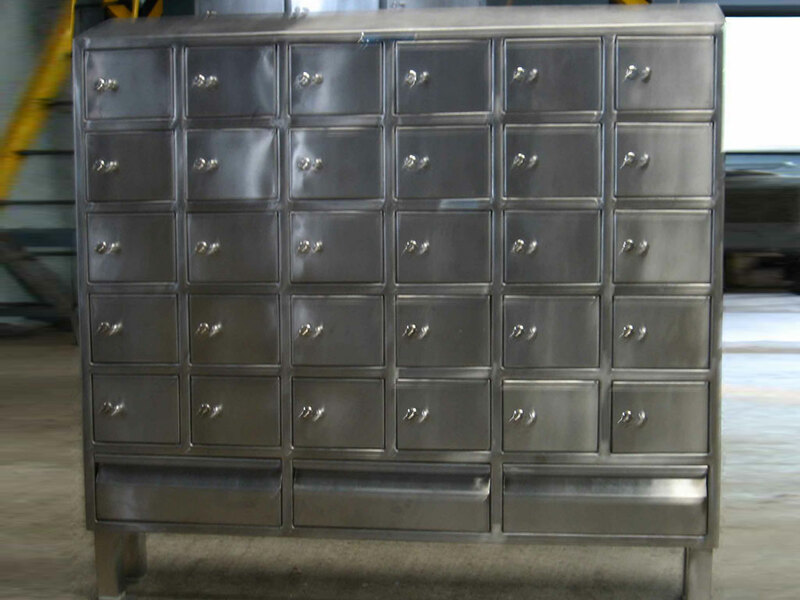 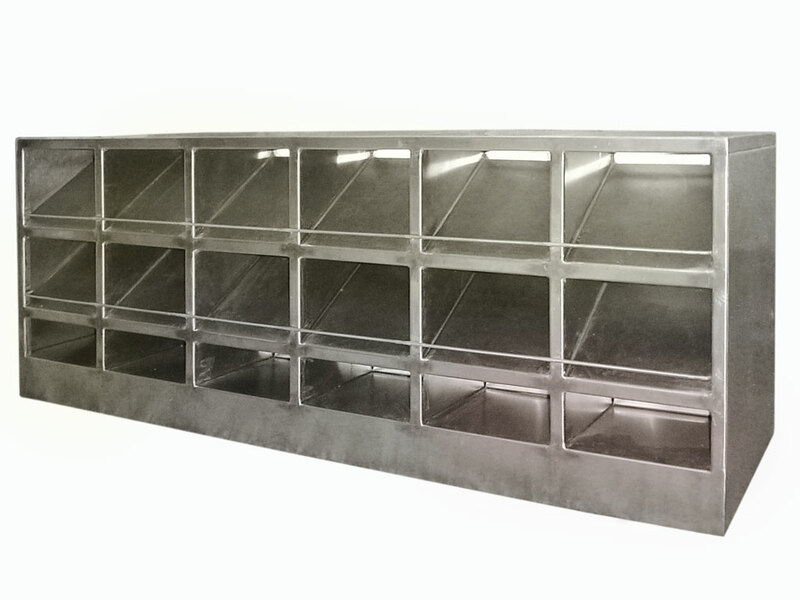 We manufacture stainless steel dustbins in varied sizes. 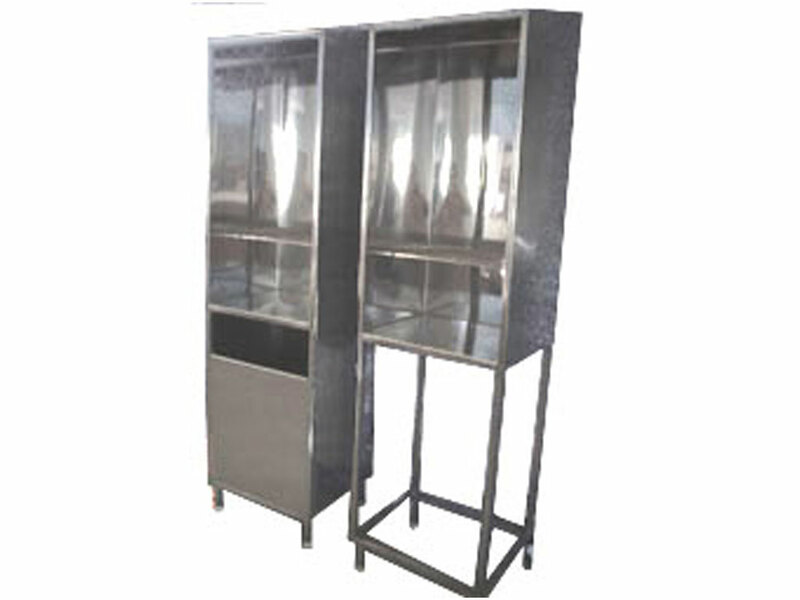 These are ideal for disposal of garbage and are almost self-maintained. 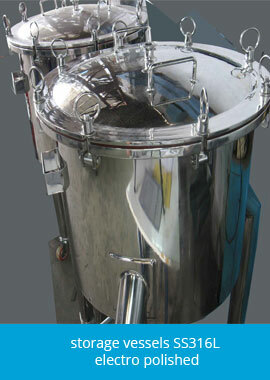 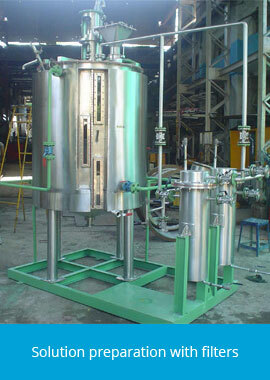 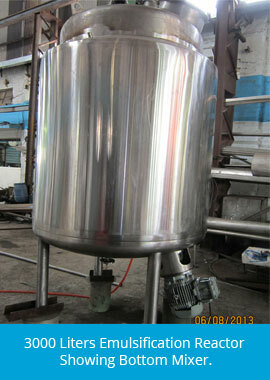 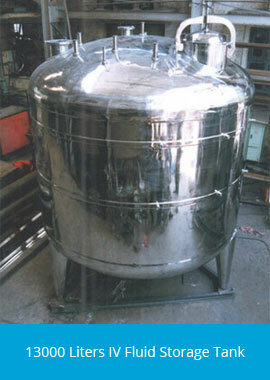 They can be widely used in various industry sectors. 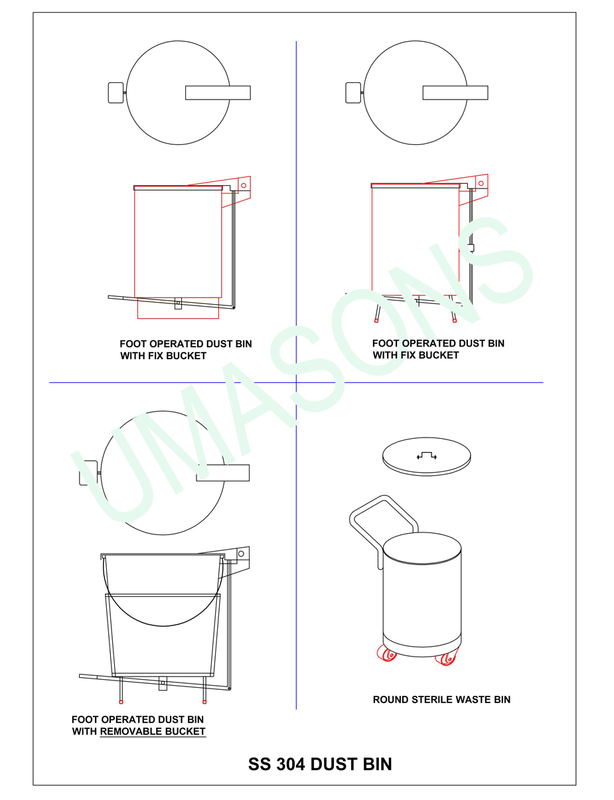 We can provide solutions that can accommodate garments, masks, gloves and a variety of linen.